Minecraft continues to be popular with kids of all ages! 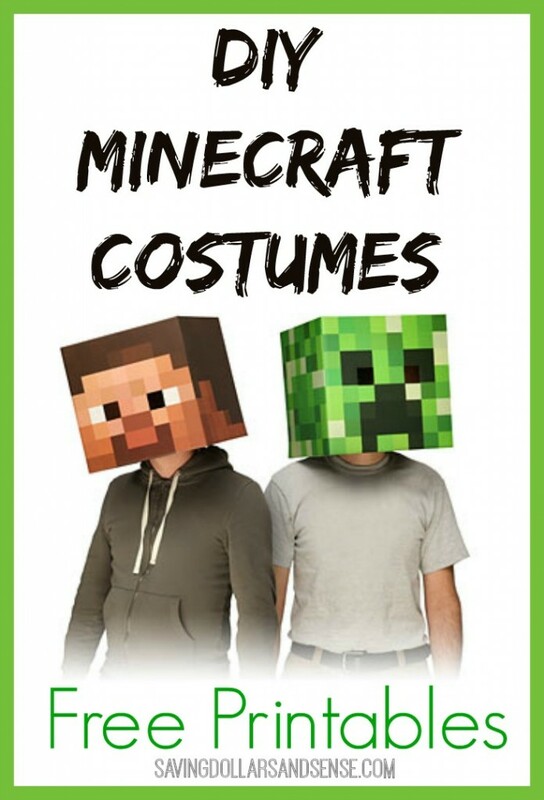 I have scoured the internet to bring you some of the very best deals on Minecraft Halloween Costumes and well and some DIY Minecraft Costume Ideas in case you would rather make something yourself. ThinkGeek has some great Minecraft Costume Accessories that you could use to easily create the perfect Minecraft Halloween Costume. 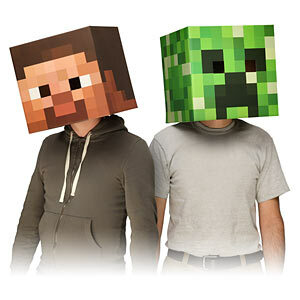 These Minecraft Masks were so popular that they sold out pretty quickly last year. Choose from Steve, Creeper or Enderman – all three are currently in stock and priced $19.99. 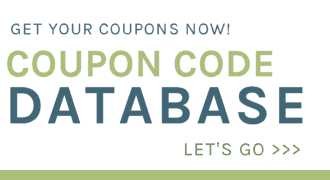 Amazon has them too but they are not offering the Free T-shirt which I think it a great deal personally. Or you could use these instruction to find out How to Make Your Own Minecraft Mask, includes a free printable that you can use to cover a box of your own. 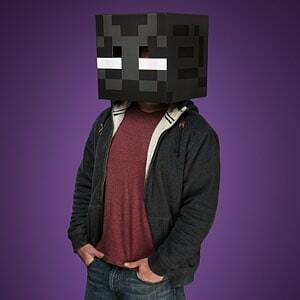 If you prefer Steve, you can use the Minecraft Steve Mask Printable to make your own. I was not able to find a Free Printable Enderman Mask anywhere. My kid went crazy when he got his costume this year 2017. They have a lot more Minecraft printable heads and accessories too.